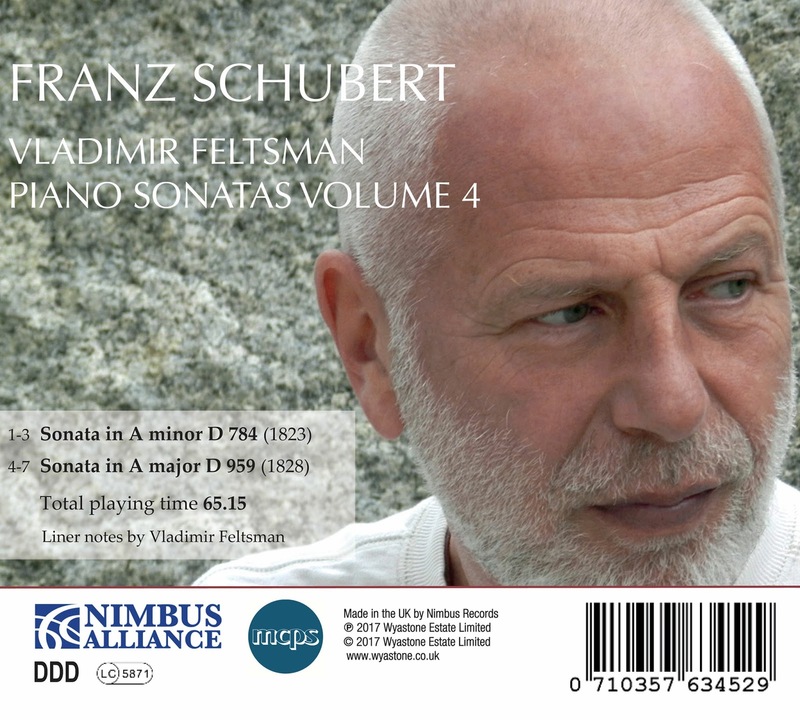 Near the beginning of this month, Nimbus Records released the fourth volume in Vladimir Feltsman’s project to record the solo piano music of Franz Schubert, focusing primarily on the piano sonatas. Readers may recall that the third volume was released at the beginning of November of last year and discussed on this site about a month later. While the third volume followed Feltsman’s earlier pattern of preceding a late work with a distinctively earlier one, the two sonatas on this new release are very much the product of the mature Schubert. While the extended duration of all three of these sonatas provides a veritable treasure trove of Schubert’s capacity for prolongation, D. 959 has several distinctive features of its own. Schubert may never have written a piece that would count as a “piano concerto;” but the second movement of D. 595 suggests that Schubert was pursuing a long-standing desire to write a cadenza for one! The middle section of this movement has an over-the-top improvisatory feel, which one does not encounter elsewhere in his solo piano music. Even more surprising is the final movement, which is the only one in those last three sonatas that Schubert explicitly labeled as a rondo. However, the ways in which thematic material returns gives the distinct impression of a rondo in a hall of mirrors. Indeed, while there is barely any “family resemblance,” the liberties that Schubert takes in thematic iteration almost seem to presage the sorts of liberties that Gustav Mahler would subsequently take. Furthermore, almost as if to remind the listener that repetition is the “order of the day,” that last iteration of the “official rondo theme” is followed by a recollection of the very opening of the first movement. Schubert could clearly be highly prodigious in playing with the structural conventions of his predecessors; but in D. 959 he calls all the chips that those predecessors played on the table and then goes all in with chips we may not have guessed that he had. Feltsman must have appreciated just how high the “Shannon entropy” of this sonata was, because he chose to precede it with a sonata that is almost skeletal in its structure, D. 784 in A minor. Lest there be any doubt about the “maturity” of this sonata, it was composed in 1823, the year in which Schubert also composed the D. 785 song cycle Die schöne Müllerin (the lovely miller’s daughter). What is most striking about this sonata is the extent to which Schubert restrains himself almost entirely from any of those skills of prolongation that distinguish so many of his late works. it is as if he wished to create a sonata in which each movement was as compact as one might imagine, flexing that constraint only in the way he deploys a coda at the end of the first movement. Yet for all that compactness, the A minor key of the sonata provides a platform for intense rhetorical gestures; and Feltsman brought a sure hand to making sure that each of those gestures was properly served. In terms of the number of sonatas Schubert wrote, Feltsman has now passed the halfway mark. Furthermore, the earlier sonatas tend to be significantly shorter than the later ones. It is unclear how he has planned the contents of his remaining releases, but those earlier pieces tend to be unknown territory for all but the most avid admirers of Schubert’s music. 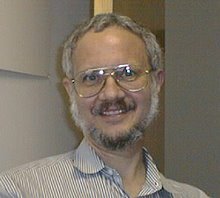 It may be unclear what Feltsman’s next release will offer; but I, for one, am already anxiously awaiting it!